China is a fascinating country with rich history. It is one of the top tourist destinations. It offers diverse culture and traditions that date back thousands of years. It also offers a modern view of major cities which have glitter no less than the cities in USA or Europe. To visit China, US citizens need visa. However if you are a US citizen stopping in China for less than 72 hours on your visit to some other county, you can get visa at major airports. Visa photos for China are can be 33 x48mm or 2x2 inch depending on the China consulate in the USA. So please read your visa application instructions and select correct size on your order so we can provide you accurate photos. The 2x2 inch photos for China visa have a bit larger head size requirements than that in USA passport photos. 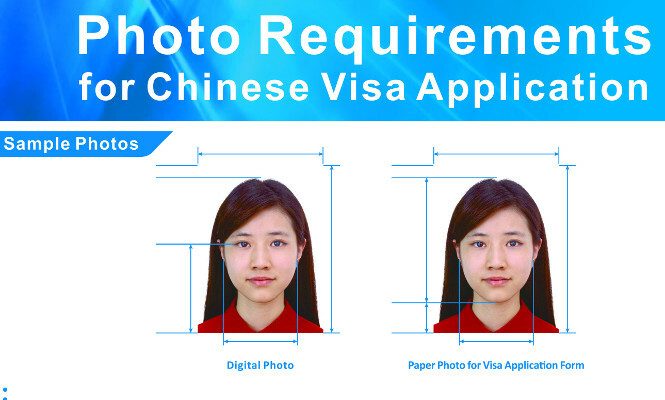 For 33mm x 48mm sized photos and detailed requirements, here are sample China Visa photos. 1) Passport – You should submit your original passport that is valid for at least another 6 months with at least one blank visa page and a photocopy of the passport's information/photo page. 2) Visa Application Form – You should submit the Visa Application Form of the People's Republic of China which is truthfully completed and signed. You should submit the truthfully completed and signed Supplementary Visa Application Form if you are seeking to work (Z Visa) or study (X Visa) in China, if you are a citizen of a third country, or if someone else traveling with you shares the same passport with you. 3) Photo – Please affix one color photo on the Application Form. The photo should be recent, front view, in 48mm x33mm size without head covering. Chinese Passport Photos must be 48mm x 33mm. Head height is between 28mm - 33mm. Head width is between 21mm - 24mm. 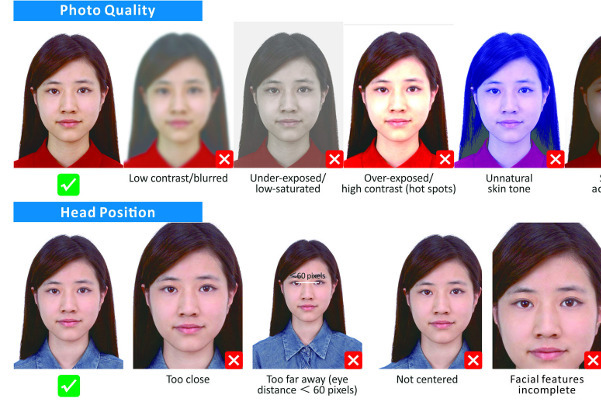 A white or light blue background is required for Chinese Passport Photos.